Whether you want to allocate energy costs, avoid unplanned outages or balance loads across phases, our wireless panel monitoring solutions give you the flexibility you need to measure what matters. 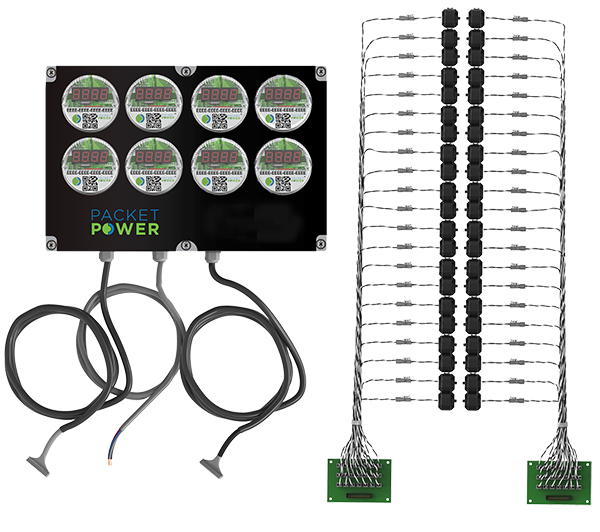 Packet Power's wireless branch circuit monitors install in a fraction of the time versus other systems by eliminating communication wiring, configuration and providing fully pre-configured wiring harnesses. 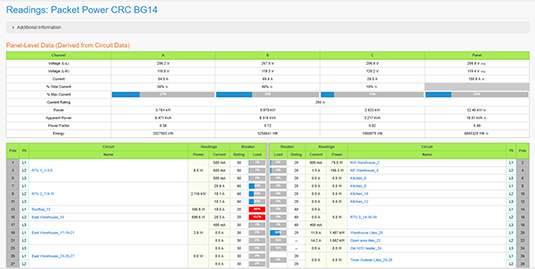 You’ll be online receiving useful monitoring information immediately after installation. 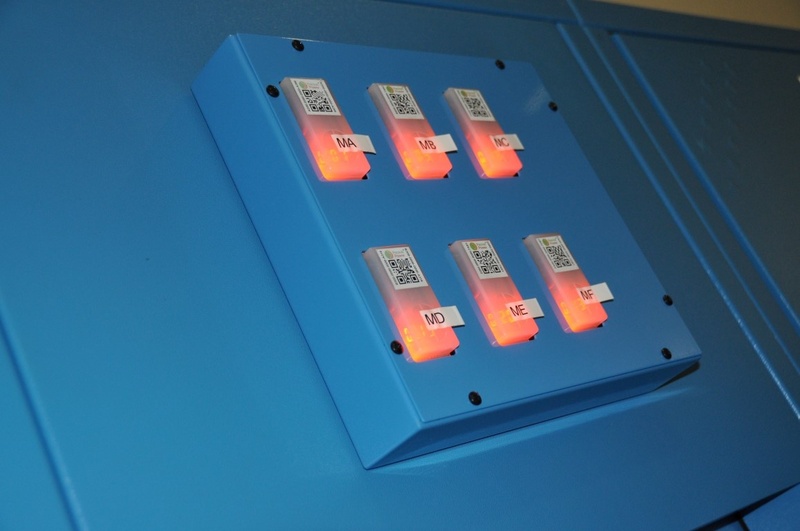 A simple solution for adding monitoring to existing panels, RPPs or PDUs. Monitors any combination of single-, two- and three-phase circuits on up to 96 circuits. Flexible current sensor harnesses and a simple configuration utility deliver an ideal retrofit solution that can save up to 11 hours and over $1,500 on installation time and expense. A compact, cost-effective solution for monitoring current on up to 48 circuits on any panel, RPP or PDU. It costs 40% less per circuit than full-power metering and is ideal for operational management. 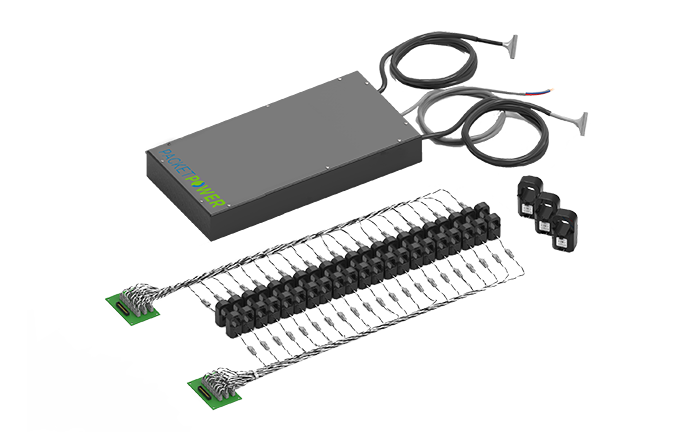 Flexible current sensor harnesses and a simple configuration utility make installation fast and easy. Also available with input power monitoring. 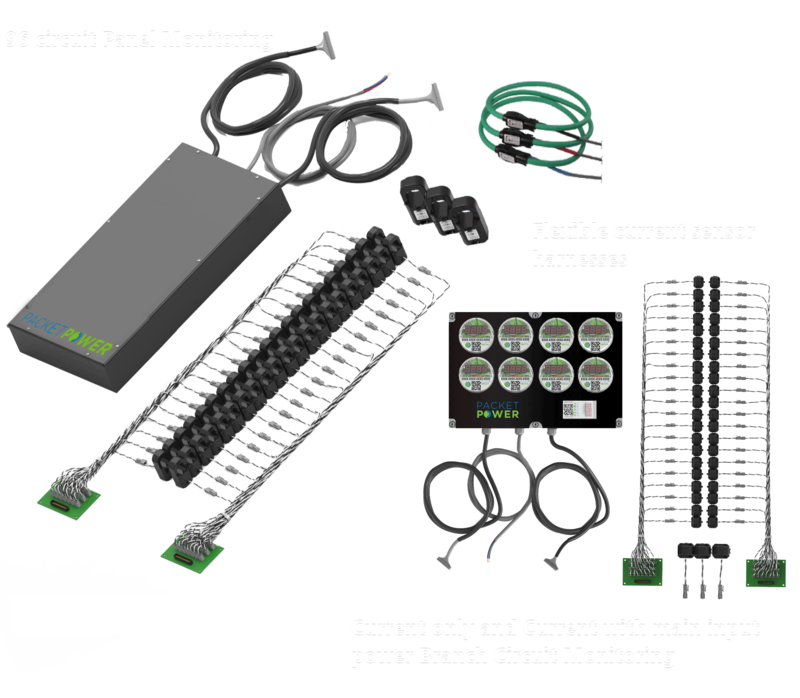 A significant part of the branch circuit monitoring installation involves defining the circuit mix on a particular panel and making that information usable in your monitoring application. Our panel editor makes it easy to specify the amperage and number of poles per circuit. If you have panels with similar circuit maps, you can easily apply panel definitions from one panel to another. And if you need to access data via SNMP or Modbus, we make that easy too. Wireless panel monitoring enables the balancing of loads for Fujitsu's London Data Centre allowing for infrastructure updates. 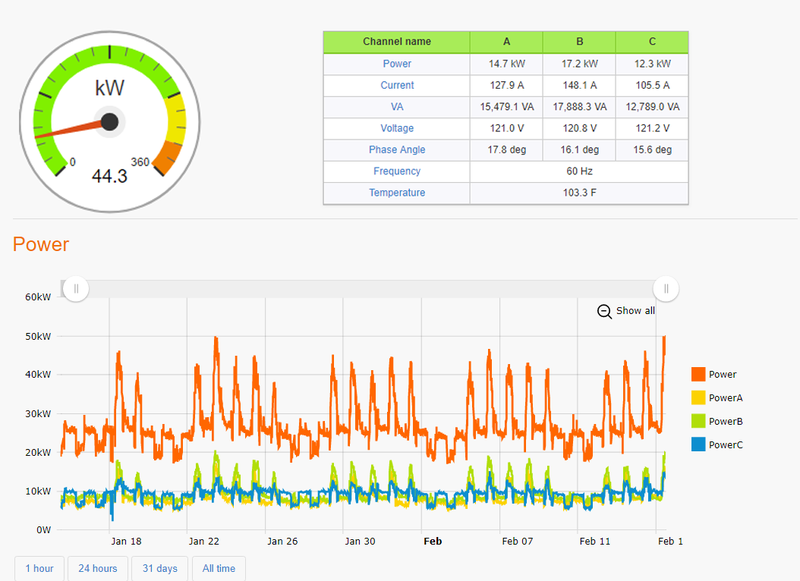 Data begins to flow immediately upon installation to your existing BMS or the Packet Power EMX Energy Portal. Unlike many monitoring systems, there’s no need to wait for expensive consultants to customize the system before you can gain value from the monitoring information.